Don’t wait! 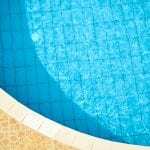 Get hot tub services sooner and extend the life of your hot tub in Concord. There may be times during the year when you don’t find yourself using your hot tub very much. Even when this is the case, it is important to keep your hot tub in working order, which you can easily do with our hot tub services. We can come to your home in Concord, North Carolina or the surrounding area and provide onsite hot tub services. You can also bring a sample of your water to our store if you suspect a problem with the balance of the water. We can test it and give you advice about what products you may need to add to improve your hot tub’s performance. If you are tired of keeping up with your hot tub by yourself, contact us for our cleaning services. We can care for the hot tub, check the chemical balance of your water, and keep your equipment in good working order. If something is not right with your hot tub, contact us for repair services. We will come to your home, find the problem, and fix it. If you need hot tub supplies, we carry all sorts of supplies, including covers and chemicals. We can also give you advice about what will work best for your hot tub. Don’t wait until your hot tub stops working. Give us a call today at Cayman Pool & Spa to discuss the needs of your hot tub!